I am convinced that the crisis in the Church that we are experiencing today is, to a large extent, due to the disintegration of the liturgy. transformed by the sacred liturgy, then we, as believers, can help transform the culture. superfluously, the Church had gradually lost that mystical element, the element of the hidden. And that’s why our people are finding our liturgy, our prayer life, boring. Before I can continue with this post, and for the sake of full disclosure, I need to make a confession (no, not the sacramental kind). The preceding reflections on the sacred liturgy are not mine (though emphasis was added by me). The first thought regarding the disintegration of the liturgy is from our Pope emeritus, Benedict XVI. 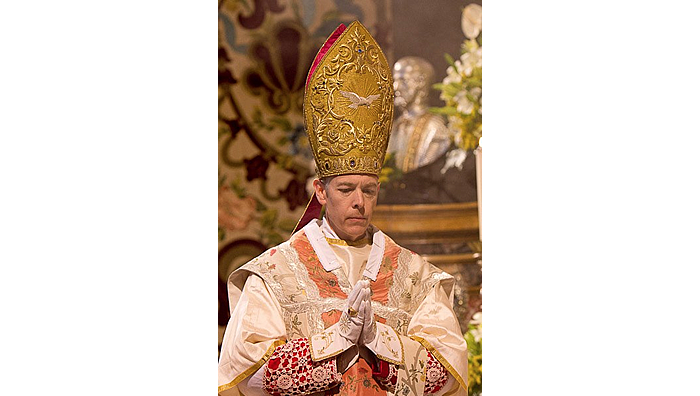 The second, the Most Reverend Alexander Sample, archbishop of the Diocese of Portland, OR. 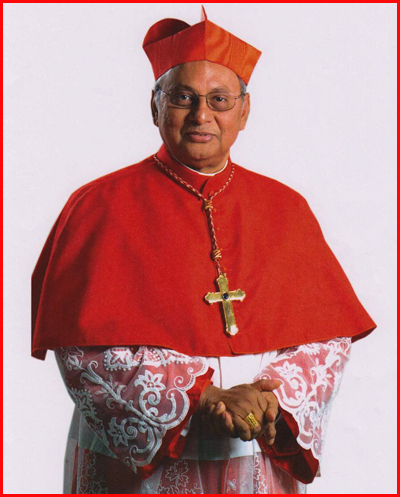 The third quote regarding the loss of the mystical element in the sacred liturgy is from His Eminence Malcolm Cardinal Ranjith, Archbishop of Colombo, Sri Lanka. A pope, a cardinal and an archbishop; all expressing the necessity for sound liturgy. The liturgy feeds our prayer life. The liturgy fuels our evangelization of the culture. The liturgy reinforces the beliefs that we profess. that a profoundly reverent liturgy is needed to simply perpetuate the faith. The liturgical reform, in its concrete realization, has distanced itself even more from its origin. The result has not been a reanimation, but devastation. In place of liturgy, fruit of a continual development, they have placed a fabricated liturgy. They have deserted a vital process of growth and becoming in order to substitute a fabrication. They did not want to continue the development, the organic maturing of something living through the centuries, and they replaced it, in the manner of technical production, by a fabrication, a banal product of the moment. Posted on July 16, 2013, in liturgy and tagged archbishop sample, benedict xvi, cardinal ranjith, Catholic, Catholic Church, liturgical reform, Liturgy, Mass. Bookmark the permalink. 5 Comments. It is interesting to read what other people think, but what is your personal experience with the Mass? How are other people sitting in the pews with you experiencing the Mass? Are the comments of the three men consistent with the experience of every day Catholics? Just something to think about and I feel your experience is more relevant than any of the three men. All good questions Neo. I have found that, since God created us body and soul, the Mass engages all of my senses in adoration of our Eucharistic Lord: sight, hearing, taste, smell and touch. This is all heightened in traditional liturgies. The sense of the eternal and unknowable, at least in our temporal state, is reinforced by Latin, incense and chant (as Cardinal Ranjith stated). This in turn fosters awe and humility. 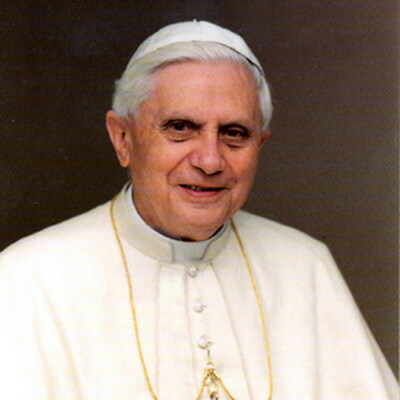 Then we can read and appreciate the wisdom and spiritual guidance of men such as the pope emeritus and these bishops. The wonderful and holy families that I see in the pews at Church lift my eyes and heart to The Lord through their holiness and witness. Their love for life, embracing of hardships with true Christian joy, and refusal to bend God to their will, but instead to humble themselves to His will is inspiring. God bless Neo and look forward to your comments on future posts! When I was very young and had just learned the Hail Mary in English, I used to say as many as I could between the bells while I was kneeling down. Then, the Mass switched to English, and I lost the personal ‘magic’ of praying between the bells because I could understand the words. It took many more years to understand what those words meant, but in the meantime, the bells disappeared. Raising my sons, as pastors changed the bells came and went. My sons quit serving at the Altar when they outgrew the available clothing. Amazingly, neither one of them liked the Rock’n’Roll version of the Mass for teenagers, but preferred the mixed voice choir with organ! Always love your comments Marie! “Magic” (or mystery) is exactly what we should feel when we enter the Holy Mass. The “smells and bells” assist us in this. Here is the link to the Cardinal Ranjith interview. He is an amazing gift to Holy Mother Church. As for the Rock and Roll Mass…I’m not a big fan of that concept. Kids are inundated with noise and motion and emotion every day in the profane, so shouldn’t time in Mass be reserved for silence, stillness, beauty and the sacred? There is a reason for so many young families and college kids seeking out the TLM to worship.